I’ve dreamed of painting a room green. My only problem is I have so many green things, that it might be overwhelming. 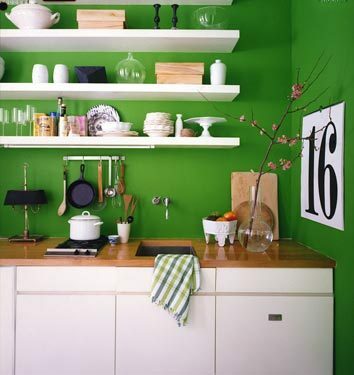 For those of you who don’t splurge on every green item you see, consider this bold and beautiful look.